Where’s Reverse On This Thing? 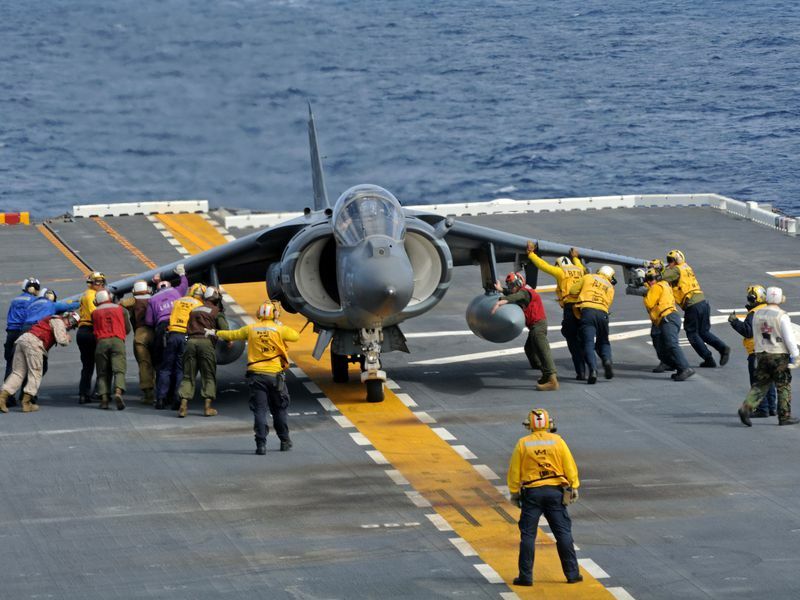 A Boeing AV-8B Harrier is pushed back aboard the USS Peleliu (LHA 5) in preparation for takeoff. Like a commercial jetliner needs outside help to push back from the terminal, the Harrier needs help getting to takeoff position at the back of the ship.